SAN FRANCISCO (BRAIN) — Strava is increasing its integration with RunSignUp, which provides a race management platform for more than 15,000 events. The integration will make it easier for athletes to register for events and to use Strava's social network to share their training and race performance. HAMDEN, Conn. (BRAIN) — Velotooler has added a new feature to its peer-to-peer bike mechanic platform. Now users can filter available mechanics by whether they work independently, or as part of a mobile service operation or if they work out of a bike shop. 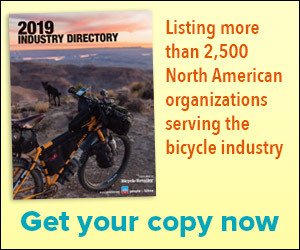 CARLSBAD, Calif. (BRAIN) — Canyon USA is now offering U.S. customers the option of having their bikes assembled, delivered and fit by Velofix, the mobile bike service franchiser. VANCOUVER, British Columbia (BRAIN) — Victor van Eijk is opening two Velofix mobile service franchises in the New York Metro area. There are more than 18,000 Strava-connected apps available. SAN FRANCISCO (BRAIN) — Strava has added a directory to its website that shows a sampling of third-party apps that have sprung up recently that make use of users' Strava ride data. Strava will give all members access to the new features later this year. SAN FRANCISCO (BRAIN) — Strava is giving a group of 36 top athletes access to new features on its platform, allowing the group members to different types of content in addition to sharing their ride or run data. The app's other users will get access to the new features later this year. BOSTON (BRAIN) — Velotooler — a new online platform that will connect freelance bike mechanics with cyclists who need service — is the first title sponsor for the CCB Velotooler Continental Team, a developmental road team that has UCI Continental registration for the 2017 season. LOS ANGELES (BRAIN) — Zwift is preparing to release a new version of its online bike training/gaming app for iPads and iPhones. The new Zwift iOS app will be released as a "beta" program, the company said. The Zwift app was previously available only for use with a Mac or PC. ATLANTA, Ga. (BRAIN) — Wahoo Fitness has released a software update for its ELEMNT GPS bike computer that includes a live Strava segment feature. Several other GPS computer makers have similar features and Wahoo has promised the update for a while. SAN FRANCISCO (BRAIN) — Running and cycling fitness app and website Strava has launched a new interactive data platform, called Insights, to compare information from the 12 most active cities across the globe. (BRAIN) — The BikeAid app is a global bike store locator with thousands of bike stores listed. The app is available as a free download for iOS and Android mobile devices.